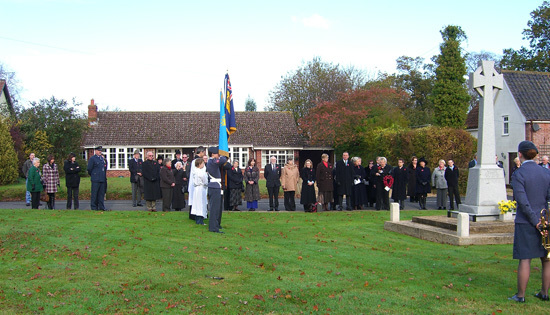 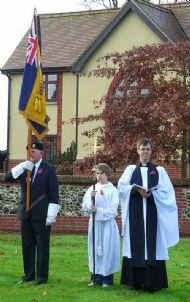 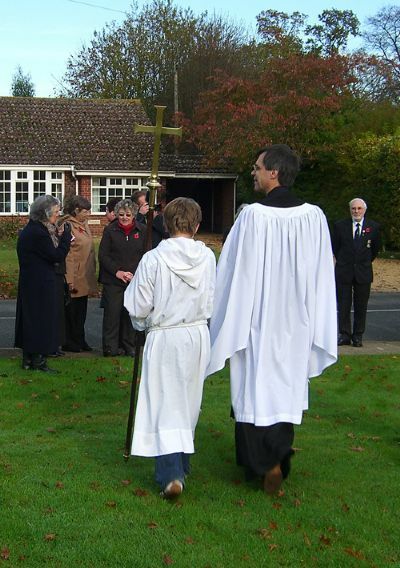 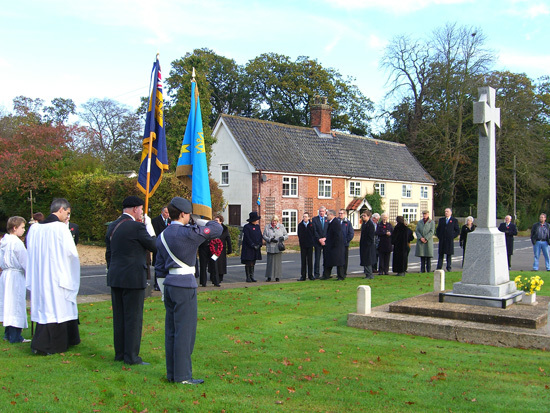 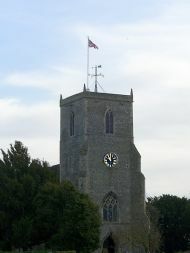 At a simple ceremony held in front of the War Memorial on Caston Village Green, Father Bob Nichols read aloud the names of each of the brave men and women from the villages of Breckles, Caston and Stow Bedon who were the fallen of World Wars I and II. 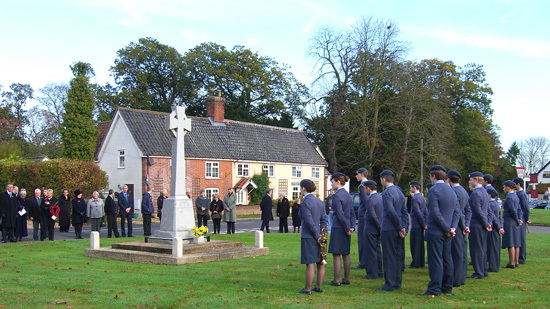 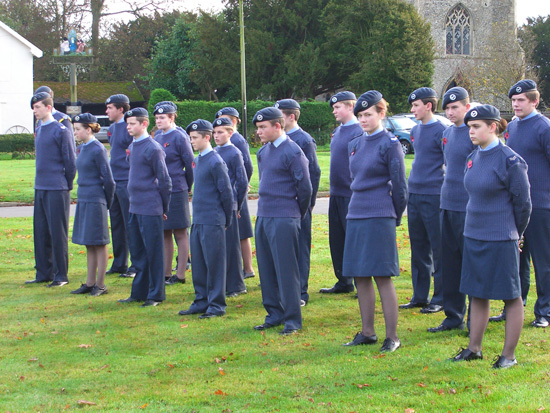 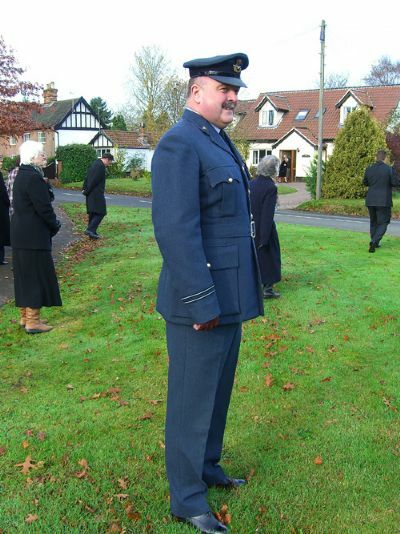 Traffic stopped in respect but the occasion this year was made even more poignant by the attendance of Flight Lieutenant Michael Edney, OC 864 (Watton) Squadron ATC along with his squadron of air cadets. 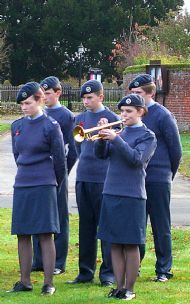 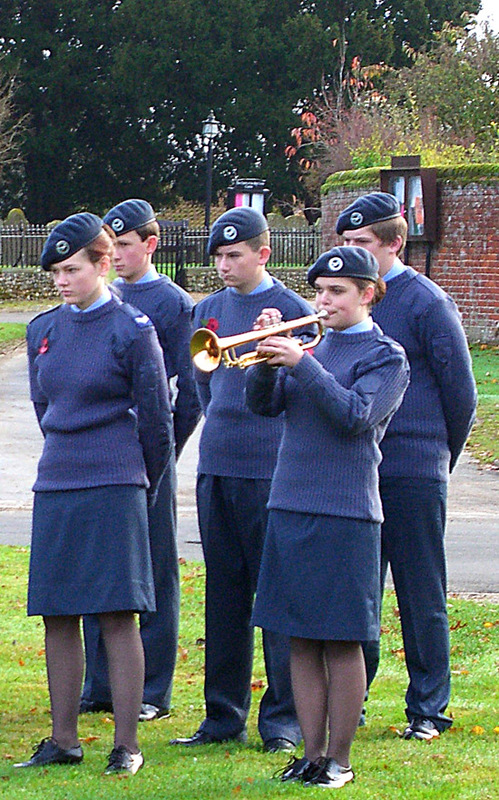 At the stroke of 11am Annamaria Nichols, one of the air cadets, broke the silence as she played, absolutely note perfect, the Last Post.